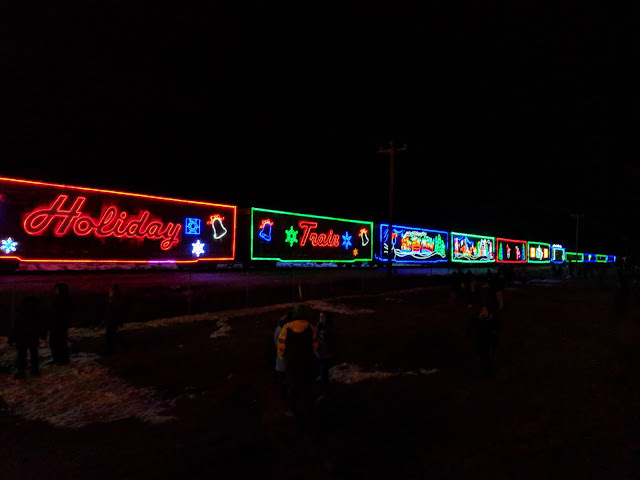 Things to do in Calgary: CP Rail Holiday Train! We found this event little advertised, but definitely worth our time. Every year, the Canadian Pacific Holiday Train makes it's way across Canada and is beautifully decorated to ring in the holiday season. Check here for their schedule. NOTES: The train supports local food banks across the nation. Organizers ask that you bring healthy food donations when you visit. We went to the event in Airdrie, there was ample parking in the community.